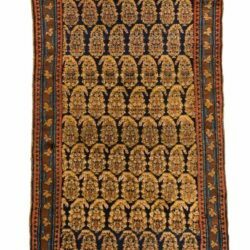 Runner Rugs / Antique Persian Malayer 2'5"×13'5"
This is an antique Malayer runner, woven in Persia around the end of the 19th century. This particular piece features an all-over boteh, or paisley, design in a red field. 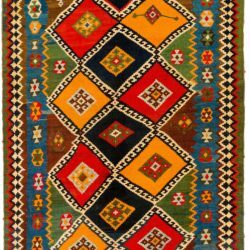 The multple borders have intricate designs of their own – the smaller border possessing a geometric motif and the larger, outer border a winding floral pattern.